My daughter’s name is Gabby. She’s three, a true threenager— inquisitive, funny, opinionated, loquacious, creative. I often wonder how attending public school will affect her self-esteem, her intellectual and emotional well-being, and her safety. She already has questions and well-formulated demands about her appearance, noting that girls should have long, straight and European-like hair. She is bombarded by messages about gender roles, and she attempts to actualize her own gender within those parameters. “Girls clean up the house, and boys go to work," she reminds me. I worry that as she enters public school, often away from my watchful parental surveillance, she will be exposed to even more specific parameters and possibly negative stereotypes of what Black girls are “supposed” to do and be. M y anxieties are deeply rooted in my experiences as a school teacher. I have intimate knowledge about how the education system may not act in her best interest. At three, she has yet to experience the wide range of road bumps and brick walls that she will have to navigate and negotiate. But, as an educator, I know the power of educators. I believe that if they are conscientious and intentional about their interaction, most will do right by Gabby and the other Black girls—girls who still trust teachers to care for and nurture them. Black girls need to see and study other Black women regularly. If a parent asks when you will provide instruction about Black women, and your first thought is February (Black History Month) or March (Women’s History Month), you ha ve missed the point! Black girls need to know that they are not regulated to two of the ten school months, and that Black women have made some of the most important contributions to our world throughout history. The recently released film Hidden Figures is a perfect example of this. Integrate Black women and girls throughout your curriculum. Black girls need you to know their history. Educators need a thorough understanding of American history coupled with specific attention to Black history in order to help Black girls foster a critical understanding of their history, present or future. Do not shy away from the ugliness; they’ll know that you are being dishonest or short-sighted. Help them think through the truth so that they may become agents of change, develop compassion for others, and learn to advocate for themselves. Black girls want to understand the world beyond the one that is in front of them. They are interested in exploring many different opportunities. Show them unforeseen possibilities, support them in creating new ones, and help them prepare a path to achieve their goals. Make sure they know that Black girls do science, technology, engineering, and math very well. Show them that Black women are scholars, world-changers, community builders, and leaders. Black girls are resilient. NOTE: Resiliency is a last resort, not a starting place. Start with love, attention, and care, and if a given situation demands resiliency, they will exercise it. In fact, they are created from it. They do not need practice using it. Resiliency comes at a price, and constantly having to tap into it takes toll physically, emotionally, and psychologically. 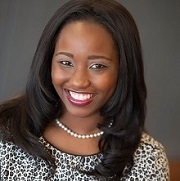 Sometimes educators unintentionally ignore, forget, or dismiss the needs or concerns of Black girls by overlooking the fact that many Black girls are expected to thrive in spaces where they see few and/or negative representations of themselves, where they regularly combat “angry Black woman” stereotypes; where they embrace the responsibility of community-care by postponing attention to self-care; where they persistently aspire to higher expectations than the ones others have placed on them; and where they are cast off into the margins when they should be front and center.